Afghan authorities have handed over the body of Superintendent Police (SP) Tahir Dawar to Pakistani officials. The body was received at the Torkham border by a tribal jirga led by MNA Mohsin Dawar. 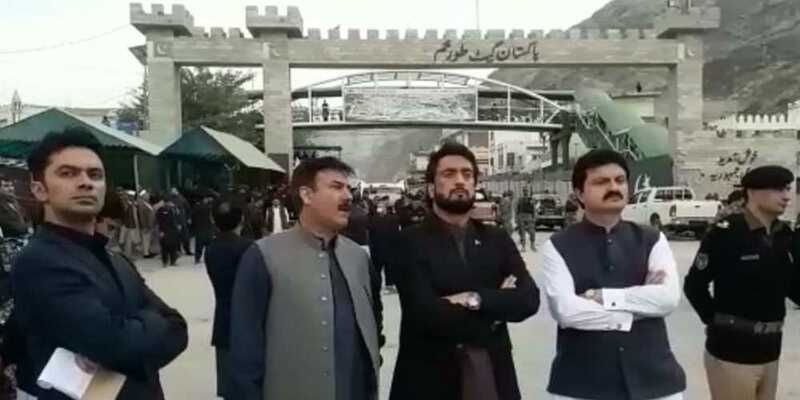 State Minister for Interior Shehryar Afridi along with KP Information Minister Shaukat Yousfazi was also present at the border. SP Tahir Dawar, who went missing from Islamabad on October 27, was found dead in Nangarhar earlier this week. His martyrdom was confirmed by the Afghan government.